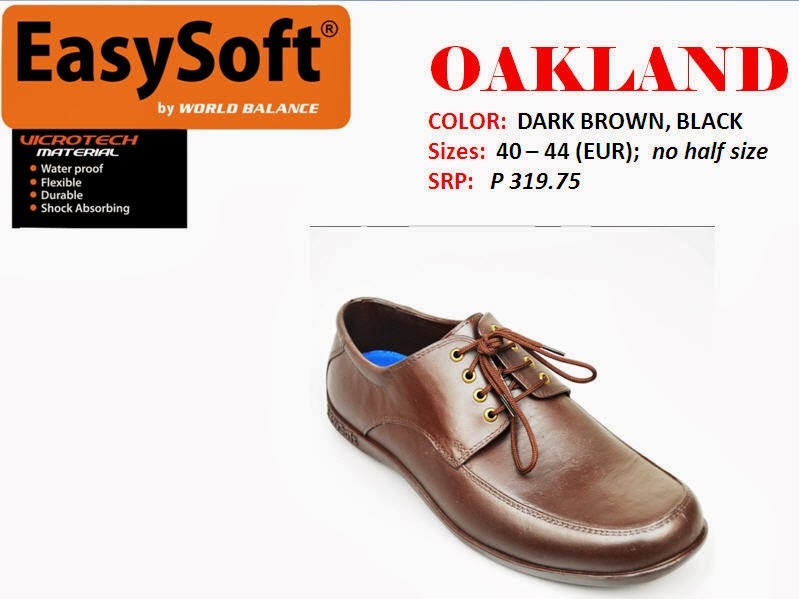 Easy Soft is a division of World Balance that specializes in mold-injected footwear. 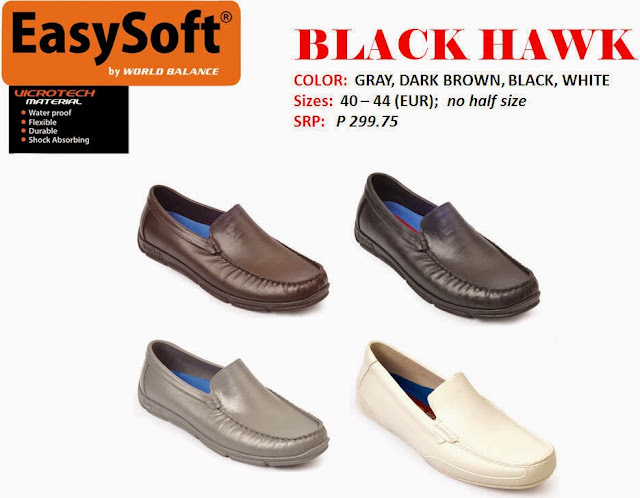 The items are made with VICRO-tech material, a plastic base that's made to be durable, water-proof, flexible, and shock-absorbing which is great as an alternative for an office shoe, especially on rainy days where leather shoes aren't supposed to withstand such elements. 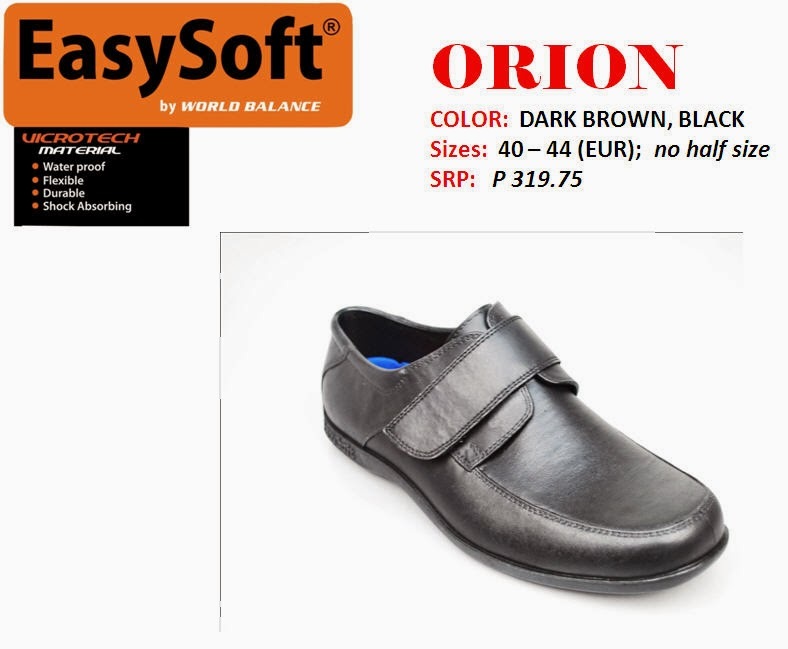 As Easy Soft is not made of leather, the pricepoint is very affordable. SRP ranges at PhP 299.75- PhP 319.75. Likewise, at first glance, you will not know that it's made of plastic as the items look similar to leather. Friends from World Balance had sent me a sample of Easy Soft Oakland shoes to test out. 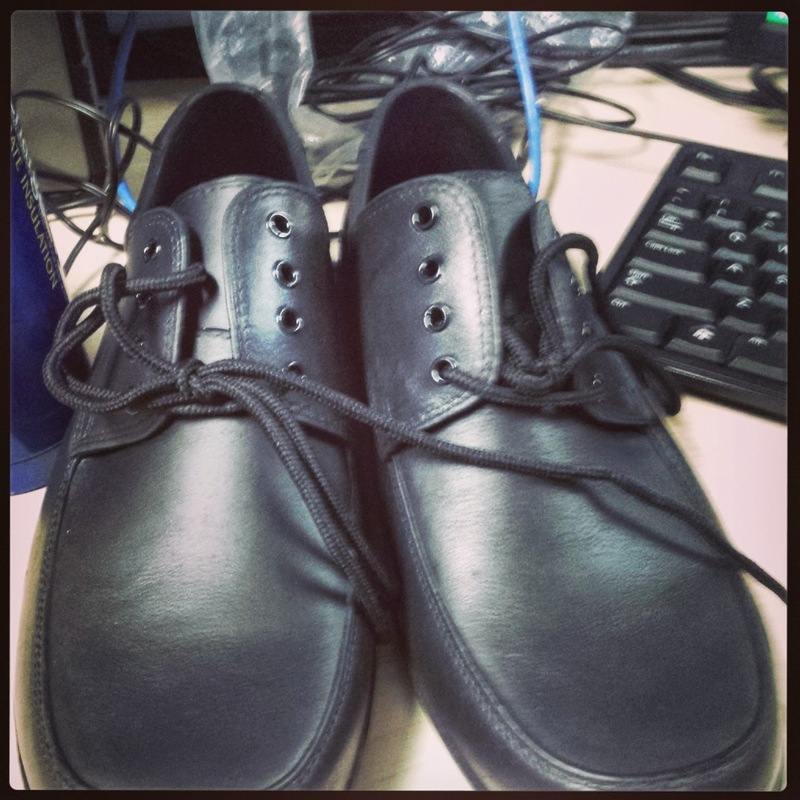 At first glance, it does look like your regular leather shoes. I tried the pair on and it didn't feel like I was wearing plastic at all. 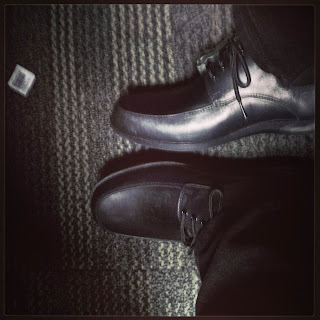 For the rest of the office day, I decided to try it out and I felt like I had comfy slippers on instead of regular black shoes. Unfortunately, the shoes didn't match my office outfit but I was really comfortable so I even walked and commuted home using it. I have yet to test the shoes in actual rain since that season is over but I am planning something to test that out but I think I'll make another blog post for that. But given the promise that it is water proof, it is a great shoe for rainy season where your regular leather shoes weren't designed for. I wouldn't wear it for now as it wouldn't fit my office attire but I will check how it would look in my casual wear. 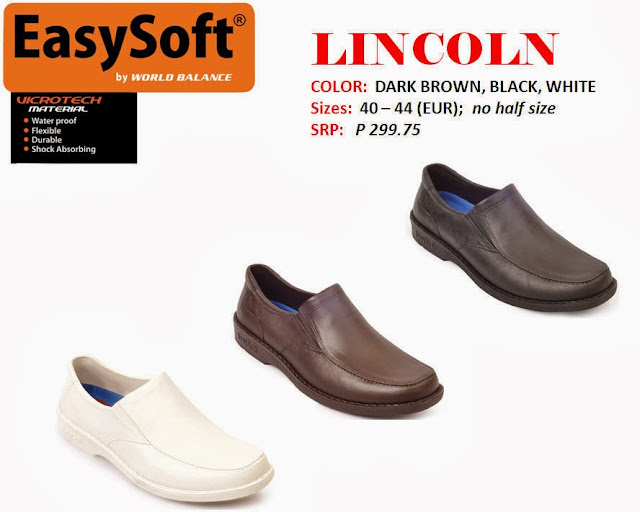 I would recommend Easy Soft for the rainy season as it promises to be water proof and durable.